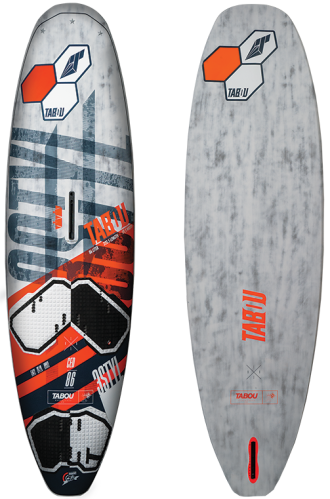 The tabou rocket ced 2017 is online available and also at the Telstar surf shop . 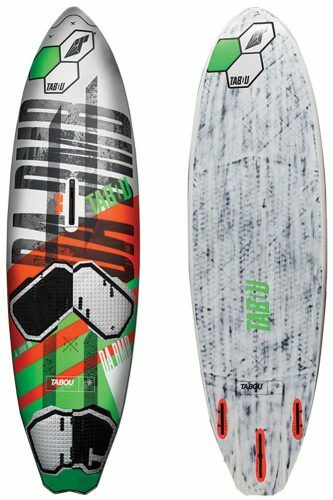 Order this tabou rocket ced 2017 simply by adding it to your cart. Check out our other Tabou products online. 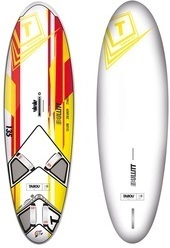 The test-winning Rocket is a world reference for a traditional freeride windsurfboard. The Rocket works with any kind of sail, from no-cam to 1 or even 2 cam. The outline, length, and rocker of the Rocket make it plane easily even in light and gusty wind. 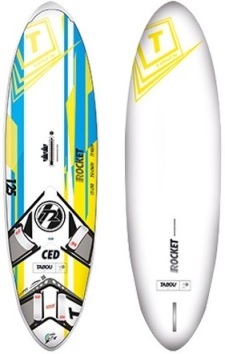 One of the favorite features of the Rocket is the signature “soft-touch” feeling as the board cuts through chop. 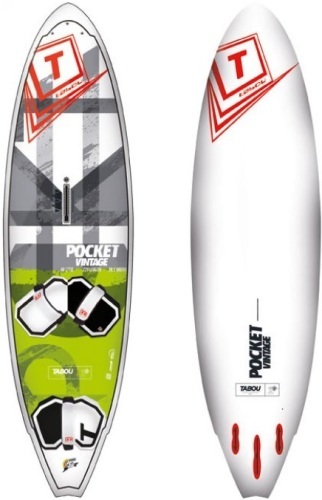 Overall, the Rocket is a classic freeride board with a balance of speed, acceleration, maneuverability, and control.